Hannah's Ethics Blog ! : cantOR can ? 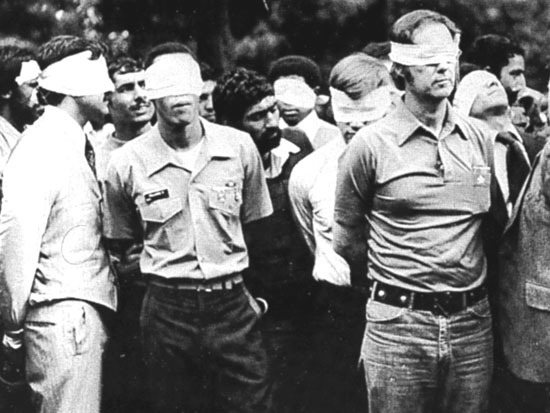 Last week I was very curious about the hostages at the center of the Iran-Contra Scandal. I already knew that they went through a lot, but what was their day to day life like? What did they have to endure? What were their living conditions like? After a lot of research, the answers have been found. The majority of the people who were taken hostage were Americans, though the rest were mainly Western European. These people were treated quite cruelly, suffering from constant beatings and mock executions. The hostages lived in "cells" and were tortured in ways that should never be mentioned. Several suffered from so much that they actually died. The victims were thrown into the trunks of cars and one captive was once transported in a refrigerator. ( Galenet Biography Resource Center) As one can see, these hostages experienced more horror than any person should ever face. Last week was a very interesting week full of politics , elections, and speakers. We watched and learned about different political campaign ads, and we discussed how they can be used to persuade audiences to vote a certain way. Also we took a closer look at the Congressional races in Virginia this fall, and we examined the different candidates' websites and campaign ads. Lastly we started our unit on The Divided State by researching some background information and beginning to watch the movie. Out of the three main topics this week, I thought that our discussions on the political campaigns in Virginia were the most interesting. I really liked learning about things that are relevant to us and are relateable. Going into this topic, I was rooting for Eric Cantor, and after spending time in class learning more, I support him even more. He is one of the most powerful men in the House of Representatives and has been through a lot to get there. I totally respect him and wish him the best of luck in the future. When looking at the other two candidates' websites, I thought they looked very unprofessional when compared to Cantor's. I know that these two gentlemen are trying to make a difference in their community, but I just don't think that they stand a chance against Eric. I almost feel that they just got up one morning and said, "I think I will run for Congress today." I feel that because of that, they do not have the proper amount of experience required to be a great Congressman. In class, I felt that people were very critical towards Eric Cantor. I know that everyone is entitled to their own opinions, but I feel people were just making judgments base on the fact that he has campaign money and Congressional power. I think with any election, people just make their decisions based on the television commercials and who has the best argument. If people were to actually get to know the candidates themselves, I think they would be very surprised at how they really are. 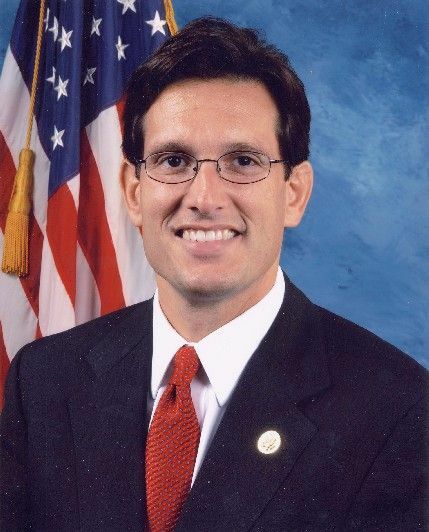 I know Eric Cantor personally and know for a fact how honest, kind, and humble of a person he is. Yes he does have a secret service agent that walks around with him, but he still acts like a normal person. I feel that if the class actually got to know him like I do, they would not be so judging. On my way to swim practice this afternoon I saw something that was very relevant to this class. 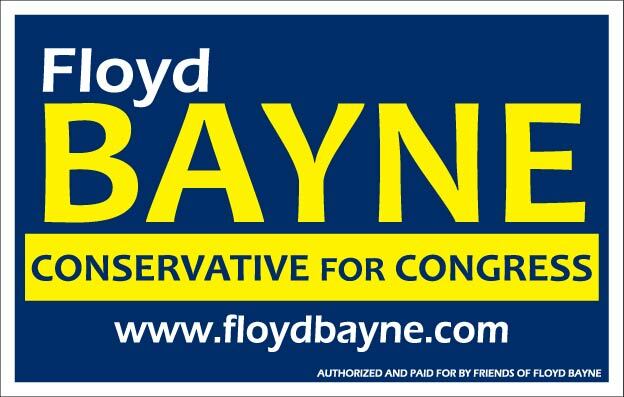 I was driving by a huge Eric Cantor sign and saw Floyd Bayne himself putting up 4 small signs for himself around Eric's sign. It reittereated the point that he most likely bit off more than he could chew and is in a little over his head in this camapign. It also shows how unprepared Floyd is and how he is lacking crucial resources. After having talked so much about politics, I just want to talk about the issue of free speech that was brought up in The Divided State. I totally support the fact that everyone has the right to speak, but I do disagree with the fact that the school was paying $40,000 for Michael Moore to come and speak. If he was coming fro free, I would totally be alright with it, but I feel that Moore was being greedy on his own part by asking for so much money from a school. After talking about politics for the majority of the week, I am really interested as to how the elections are going. Who is in the lead in the election polls for the 7th Congressional District? How much ground have the candidates made so far? Who is precieved to win?